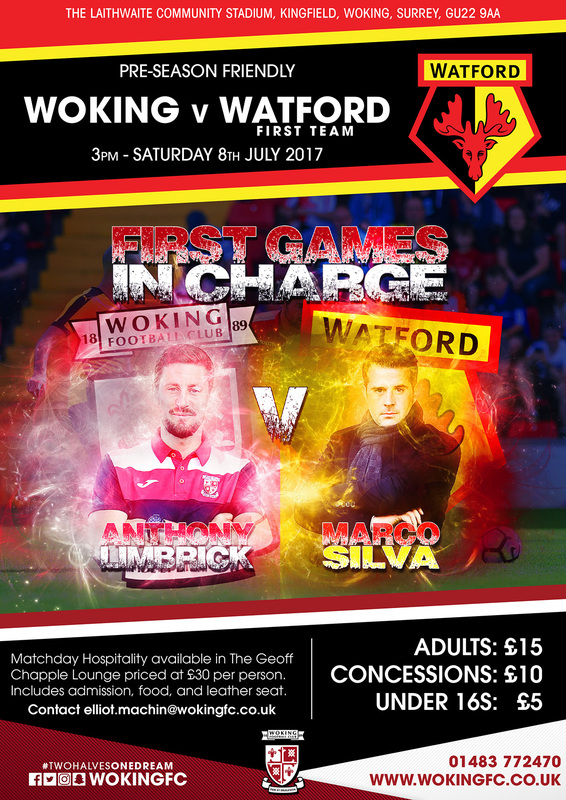 Woking Football Club is pleased to announce that pre-season friendly matches have been arranged at The Laithwaite Community Stadium against Cambridge United and Swindon Town. Cambridge United will be the visitors on Tuesday 25th July, 7.45pm kick off. They finished 11th in League Two in 2016/17, the two sides last played each other in April 2014, United winning 3-0. The Cards’ final pre-season friendly takes place on Saturday 29th July when they host League Two side Swindon Town. The Robins were our opponents last July, Woking winning that match 3-1 with former player John Goddard playing for Swindon. Admission prices for these two friendlies will be £10 for Adults, £5 for Concessions, and FREE for Under 12s.